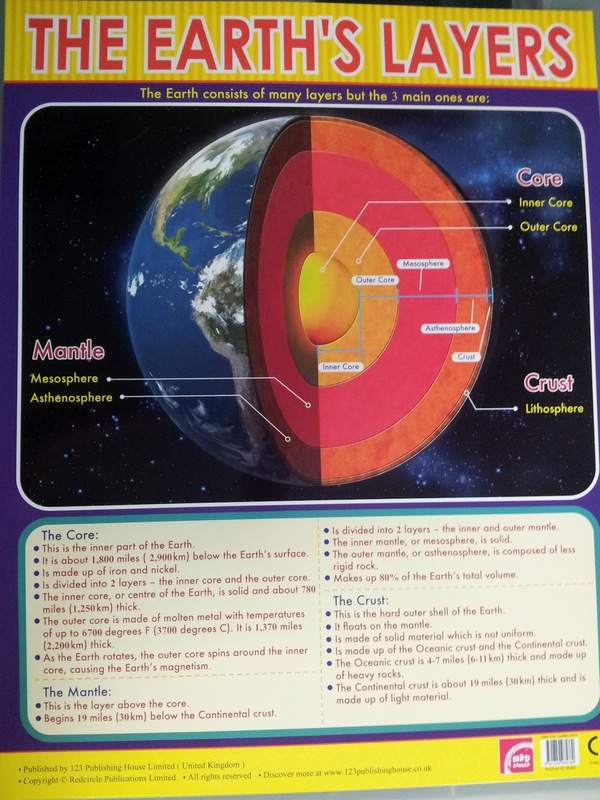 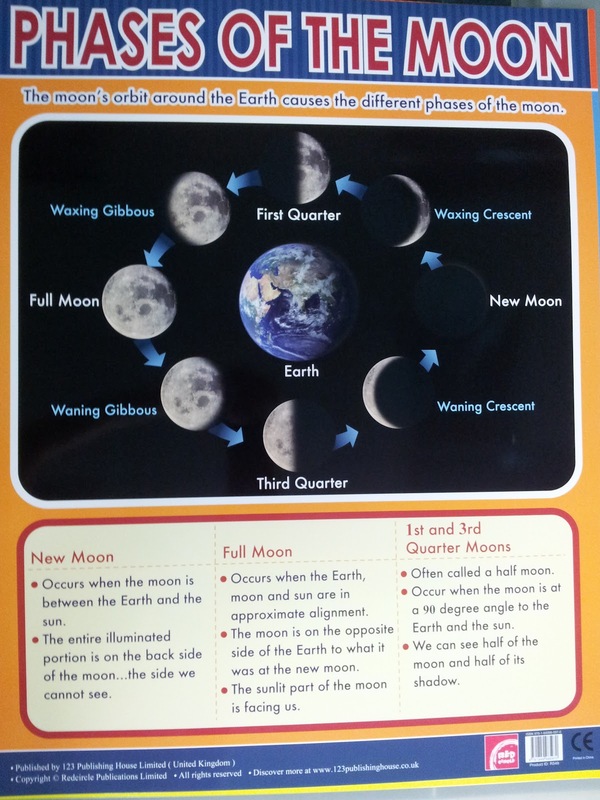 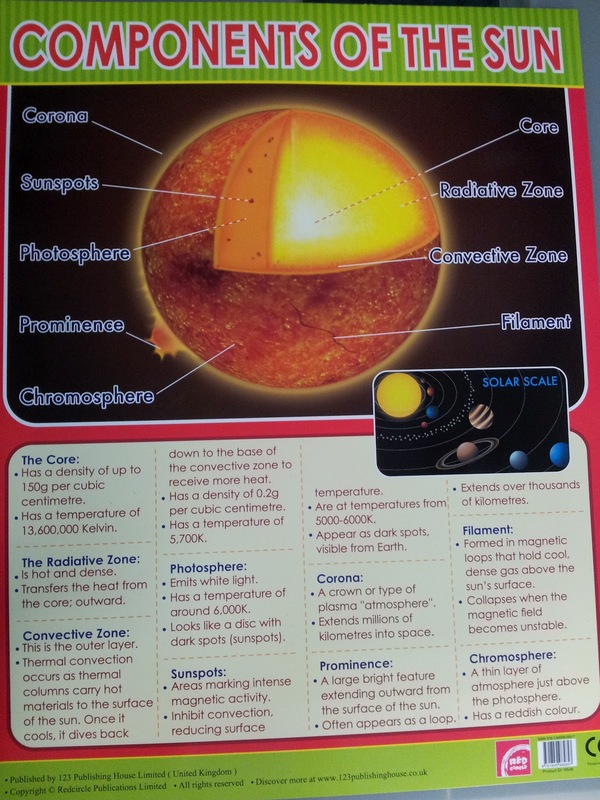 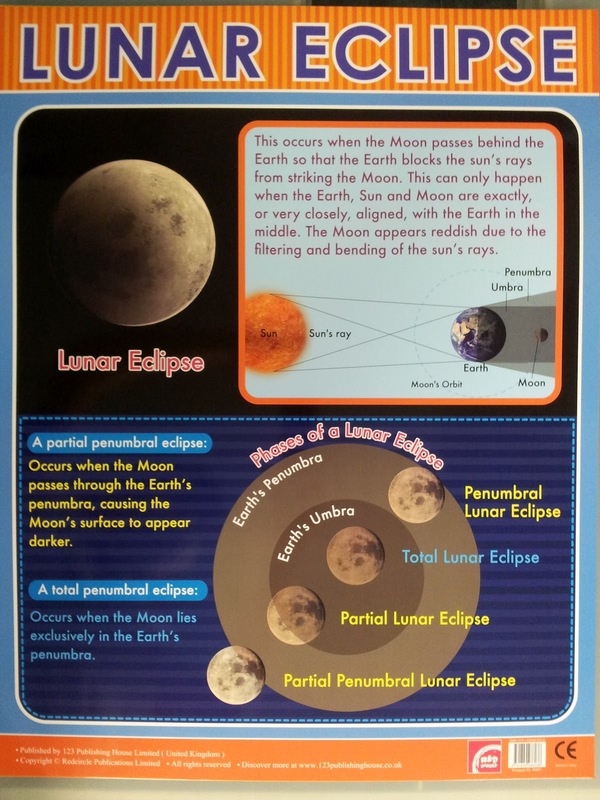 Recently, I've been on the lookout for new models and props related to astronomy that can be used in some of our school programmes, like are planetarium shows and large group demonstrations. During a search on the internet I came across a large scale inflatable solar system. 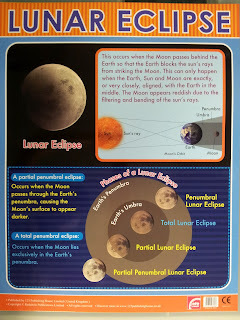 At first it looked like it was only available on overseas websites like Amazon but later I found a local supplier here in Singapore, The Learning Store/Expenovate. 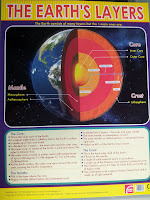 The next day I went down there to take look, and bought the last two sets of their current stock. 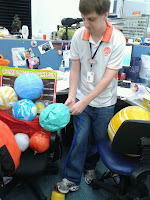 I intend to use one set for some interactive play during the introduction to our planetarium programme for preschoolers. 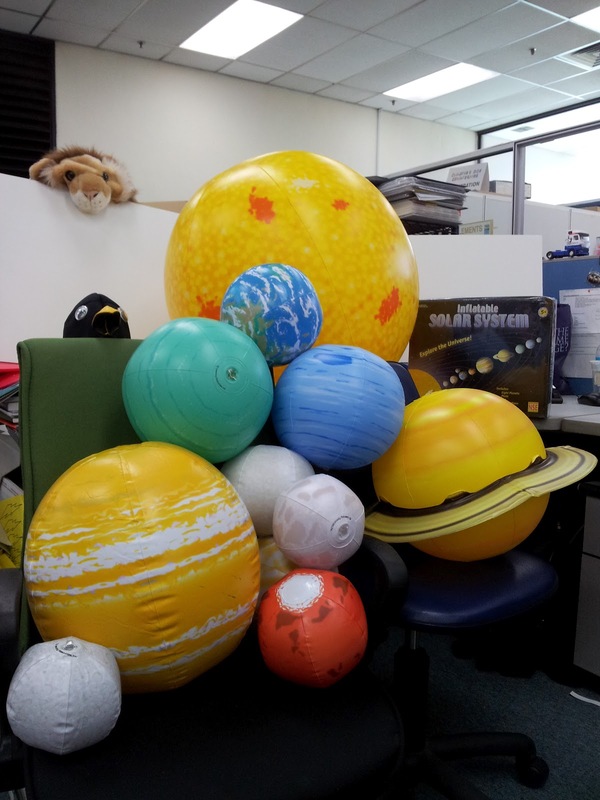 Currently I'm using a series of Styrofoam balls and marbles to illustrate the location and size of the planets in the solar system, the inflatable planets however are much more visually appealing and you can bounce them around. 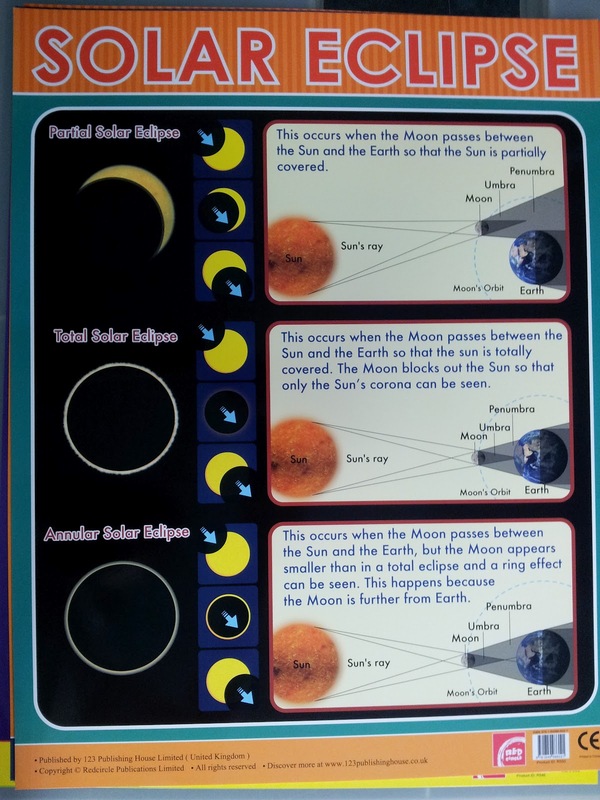 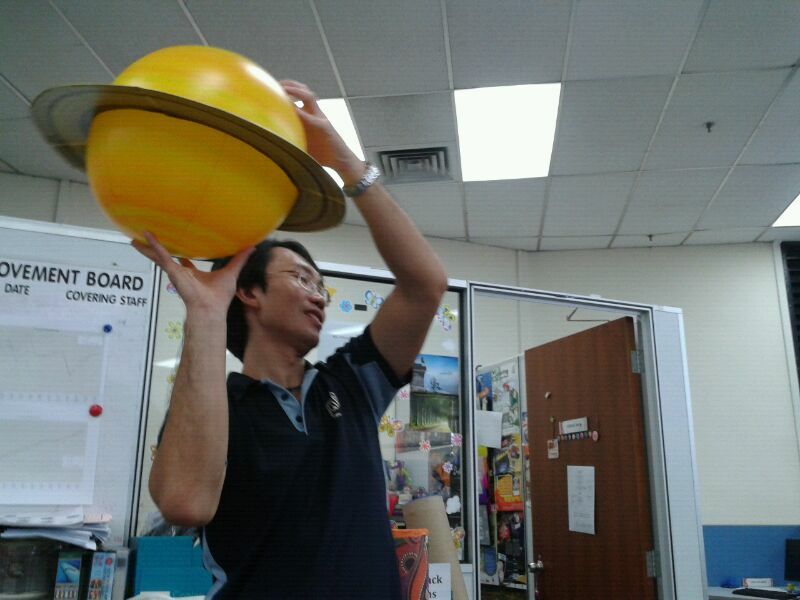 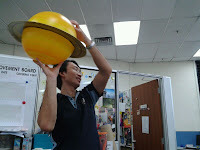 The second set will be ideal for my upcoming talk on "the planets" for the NLB, which I'll be conducting as apart of their astronomy month at Jurong East Library on Saturday 2nd June. 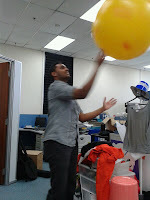 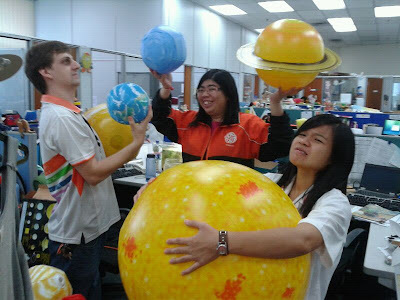 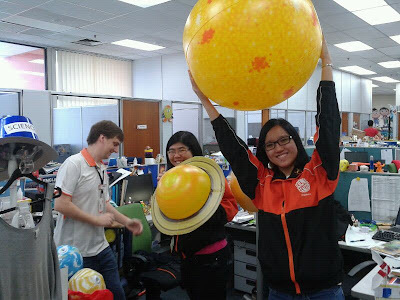 We inflated the rest of the planets in the walkway outside and once finished brought them back into the office where several others contributed other ways of using them, like attempting to spin each planet on one finger. 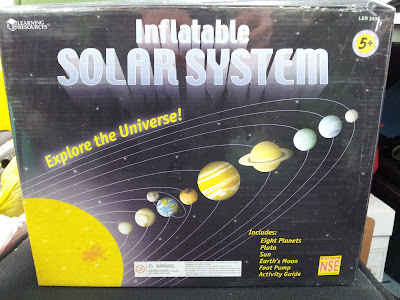 The inflatable solar system is a nice set for visual demonstrations and explaining the solar system layout, however the sizes are not to scale, although the gas planets (Jupiter, Saturn, Uranus, Neptune) are quite close. 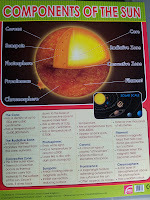 Of course the Sun is so big its hard to represent its true size. Sometimes I will still use marbles and Styrofoam balls to represent the size of the rocky planets like Earth, Mars, Venus and Mercury, which are incredibly small compared to the gas giants. 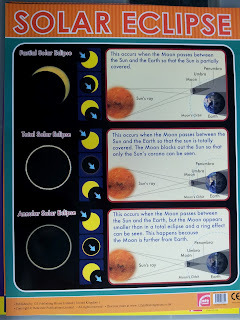 I guess its hard to find a really accurate solar system model because of the large variation in size, not to mention the huge distances between the planets.